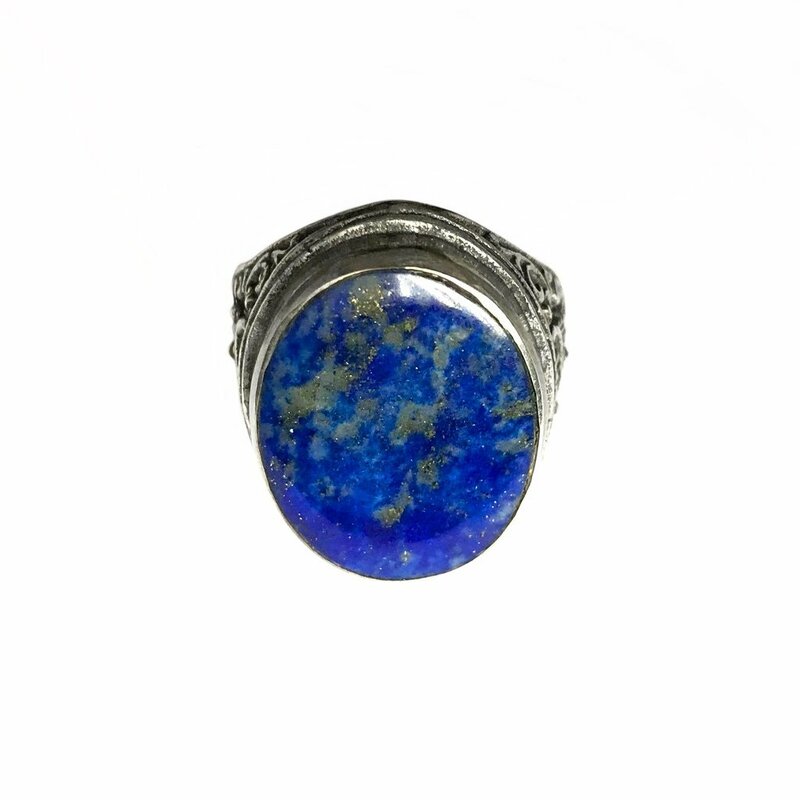 The azure blue lapis lazuli (Arabic: اللازورد) is categorized as a type of metamorphic rock. 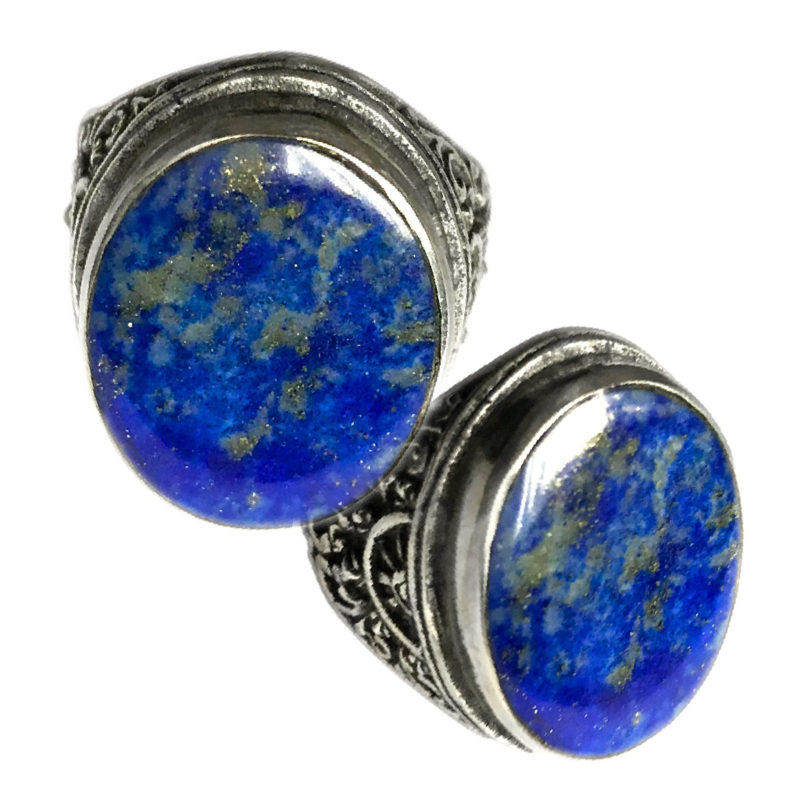 Sometimes this gem is also referred to as simply lapis, which in Latin means ‘stone’. The Latin word lazulī, however, refers to a historical place (i.e., Lāzaward/لازورد) in Badakhshan Province in Northeast Afghanistan. Yet the oval gemstone seen in the pictures below was mined in the Andes, Chile, and later was set in a beautiful silver ring in Bali, Indonesia. 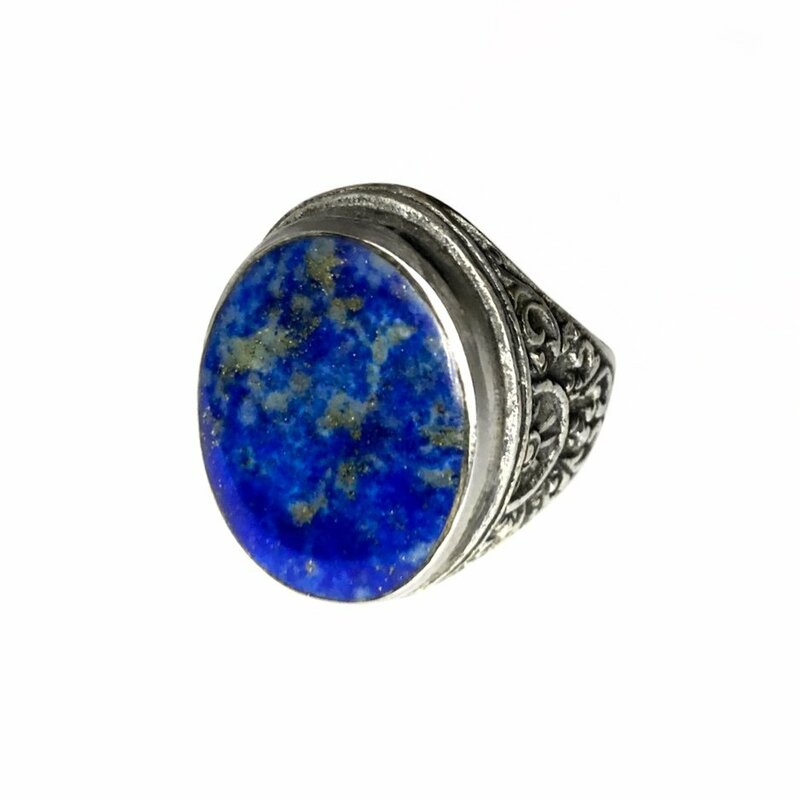 As with most genuine lapis lazuli jewelry items, this heavenly blue stone also contains visible traces of the mineral component pyrite, which can be easily recognized by the yellow golden specks on the gem’s entire exterior surface. Symbolically, these specks of pyrite represent bright stars shining in the deep blue night sky, thereby showing its wearer the way in the dark. 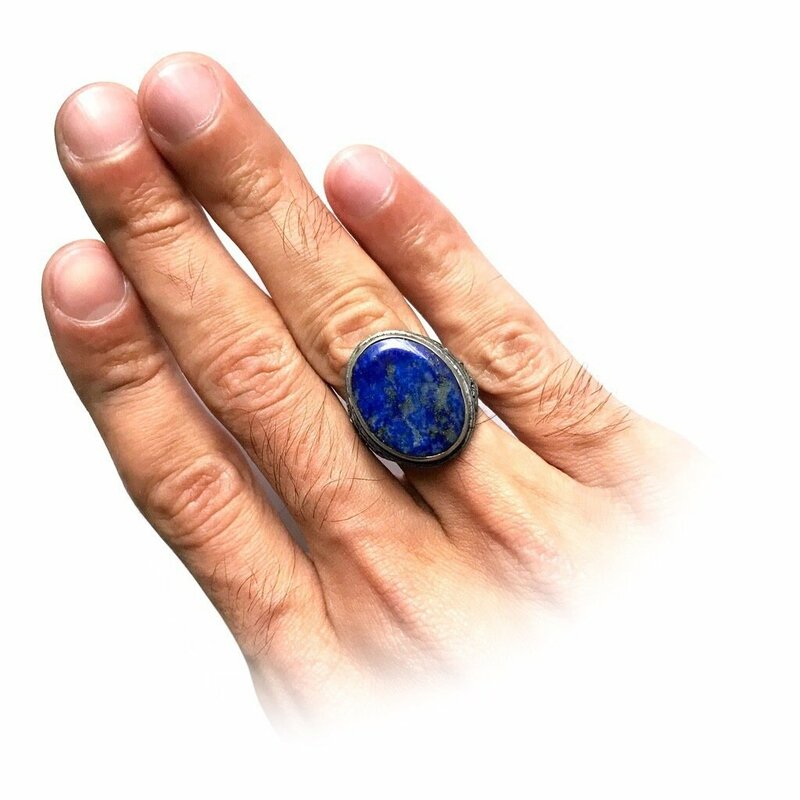 Similarly, lapis lazuli is believed to function as a powerful source of (spiritual) light (Arabic: nūr/النور ) that dispels darkness. In addition, due to its inherent mystical powers, the Balinese silver ring can be worn to help develop higher levels of consciousness. Therefore, this semi-precious stone has much more to offer than mere protection from the Evil Eye, for it also enhances the mind’s power of inner vision and intuitive awareness. Wa hab lī nūran ‘alā nūr. (Ṣaḥīḥ al-Bukhārī, al-ʿAsqalānī: Fathul-Bāri 11:118).